Lost your pucks? The ones that came with your air hockey table invariably go missing after a few months, don't they? 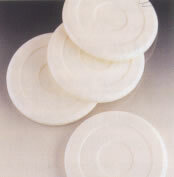 But don't despair, we have replacement air hockey pucks available. 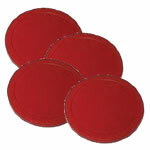 They come in 2 sizes, 70mm diameter which are most suitable for 4ft and 5ft air hockey tables. These air hockey pucks come in packs of 4. We also have the larger pucks for the larger tables.